Belize is well known for its beaches, snorkeling, and laid-back atmosphere. Often referred to as Mother Nature’s best-kept secret, Belize also has fantastic jungles, caves, and interesting cultural influences. We’ll enjoy drumming sessions with the Garifuna, great seafood, and the beautiful vistas of San Ignacio. 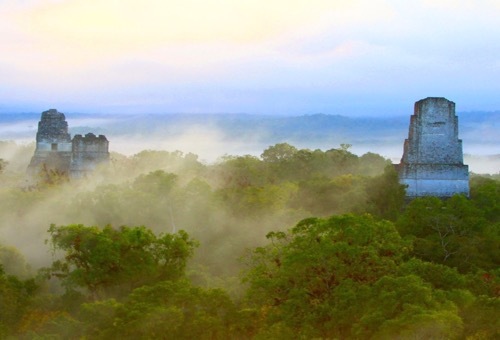 On the Belize and Tikal itinerary we’ll travel to the jungle province of Peten in Guatemala to see Tikal, truly one of the wonders of the world. You’ll stride across ancient ball courts, marvel at the size of the temples, and imagine a sprawling civilization of millions of people that mysteriously vanished back into the jungle. 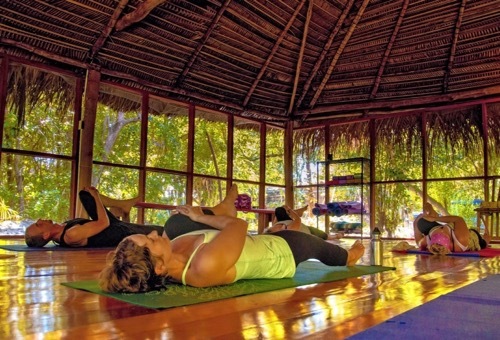 On our Yoga retreat you’ll enjoy the fun and thoughtful Yoga Master Rebecca Barnes. Rebecca has been traveling with us since she was 12-years old! Visitors to the Central American nation of Belize will encounter a beautiful paradise of lush tropical rainforests, an incredible variety of wildlife, wonderful beaches, and ancient Mayan ruins. The landscape encompasses coastal mangrove forests, lush tropical rainforests, offshore “cayes” (pronounced “keys,” meaning islets and islands), and the MesoAmerican Reef—the second largest coral reef system in the world. The unspoiled rainforests and savannas of Belize are well-known homes to jaguars and other large cats, spider and howler monkeys, tapirs, peccaries and nearly 350 species of birds, many of which migrate between Belize and the United States. To complement the botanically rich world of these rainforests, Belize’s bountiful coastal waters stretch along the coast for over 240 miles, harboring manatee, dolphin, whale sharks, hawksbill turtles, crocodiles, iguanas, shorebirds, and diverse fish populations. Belize’s tropical rainforest covers about two-thirds of the country and provides home to more than 4,000 species of native flowering plants, including 250 species of orchids and 700 trees. Some parts of this subtropical climate receive over 190 inches of rainfall per year to sustain its intense levels of biodiversity. Recent studies have shown that Belize’s protected areas have been extremely effective in protecting the country’s forests. 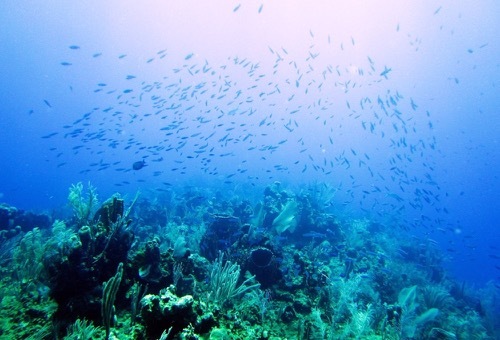 The marine areas offer breeding grounds for declining commercially important fish species, including grouper and snapper, conch and lobster, and sport fish species including permit, bonefish, and tarpon. Commercial and subsistence fisheries and marine ecotourism depend on these waters, and the region remains critical to maintaining the marine productivity of southern Belize and neighboring countries to the north and south. Formerly called British Honduras, Belize is the only English-speaking country in Central America. It became an independent nation in 1981. Located on the Caribbean side of Central America, Belize adjoins both Guatemala and Mexico’s Yucatan Peninsula. Belize is a fairly small nation, a little smaller than the size of the U.S. state of New Hampshire. A combination of natural factors—climate, the Belize Barrier Reef, over 1,000 offshore cayes, excellent fishing, safe waters for boating, scuba diving, and snorkeling, numerous rivers for rafting and kayaking, various jungle and wildlife reserves of fauna and flora for hiking, bird watching, and helicopter touring, as well as many Maya ruins—support the thriving tourism and ecotourism industry. Belize also has the largest cave system in Central America. Development costs are high, but the Government of Belize has designated tourism as its second development priority after agriculture. Belize contains an interesting mix of cultures, predominantly Mayan and Garifuna, but remains the least densely populated nation in Central America. In the 1700s and 1800s, ships carrying slaves from Africa wrecked on the reefs off Belize. The survivors came to shore and met the Carib Indians, and formed what we now call Garifuna culture.